The audio experience has evolved way far and is now bringing 3D surround sound with Dolby Atmos technology. The spatial surround sound technology is now available for Windows computers. Unlike the traditional audio-out technologies, Dolby Atmos for PC brings you 3D sound experience. Breaking all the channel support patterns like 5.1, 7.1, Dolby Atmos brings you better audio and surrounding sounds in your computer. 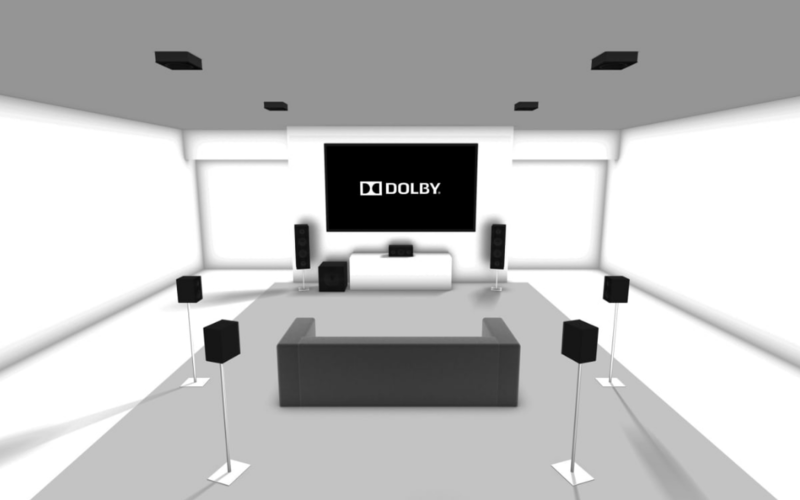 The Dolby Laboratories have launched Dolby Atmos Windows 10 app for PC the earlier year. Essentially, it is an audio enhancing and equalizing method which is extending its support for Windows PC. Furthermore, the surround sound system supports 128 audio tracks and up to 64 speakers in the cinema. Now, the Dolby Atmos for PC will monitor all your sound system, equalize bass and noise levels in the output from your PC. Microsoft’s Xbox One and Sony’s PlayStation 4 have already adopted Dolby for their consoles. But, the tech giant doesn’t provide any Dolby Atmos support for Windows by default. So you need to install Dolby Atmos Windows 10 app to render your new sound technology for high-end audio device experience. Here we provide you detailed guide about how to install Dolby Atmos for PC on Windows 10. If you have latest version windows 10 ready PC, then all you need to do is download Dolby access app. Download Dolby access app for Windows 10 PC from Microsoft store. Once you find the app in the store, press the ‘Get’ button to begin the download. Launch the app to let it make changes to the PC. Now, the options screen appears and you need to choose your device to configure. You can choose between the Dolby Atmos Home Theater System and Dolby Atmos supported headphones. Proceed with the instructions to configure settings and experience the new sound technology. There is a glitch to get Dolby atmos if you are a windows 7 or 8 user. You need to download Dolby atmos drivers and advanced audio software and run the program. However, here we also detail you the step by step process for the same. Firstly, Download Dolby atmos drivers and advanced audio software from trusted sources. Run the installation wizard and check if your windows version is 32 or 64 bit and install drivers accordingly. Now, install the advance audio drivers as per the process initiates. Once the setup is done, you need to restart your PC to apply changes. Solely, Dolby Atmos is an advanced audio technology to enhance your system audio experience. Some unique features like total audio control and auto bass, treble monitoring stand out. On the other hand, few more Dolby features include authentic surround sound, improved dialogue clarity, and Distortion-free performance. Furthermore, it offers a simplified home theatre connections and a complete control over audio. Windows 10 users can test Dolby access app by playing Dolby Atmos audio supported videos in the app. You’ll find a fundamental difference in the audio experience you get. Yet, you need to play the Dolby surround sound-enabled videos for it. It also offers a way far better gaming experience if you are a keen gamer. All you need to do is ensure the application you use produces the 5.1 or 7.1 surround sound. Besides that, Dolby Atmos will convert it into stereo sound for your headset if you aren’t a fan of using the home theatre. But, the service is a free trial only for 30 days. Then after, you need to pay for Dolby Atmos headphones support.